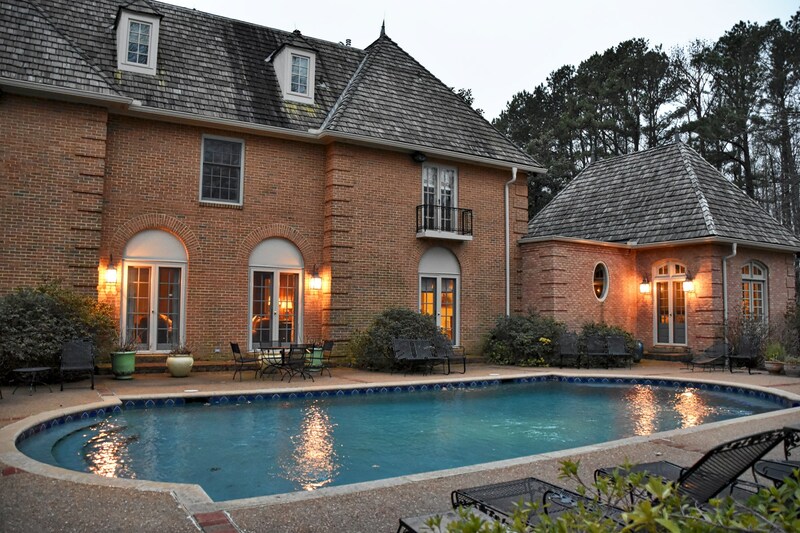 283 High Point Road in Jackson Tennessee is a stunning French Country Estate on 28 lush, green acres with a charming 2 BR guesthouse, Private Tennis Court & a barn. From the moment you drive up to one of the highest points in Madison County TN, You get the feeling you are in another world. Massive dual front doors greet you as you enter into a 2 story foyer, featuring a curved, ornamental stairway with a beautiful brass handrail. There is a large formal living room to the left and a formal dining room with arched entry, wainscoting & a breathtaking chandelier. The large eat-in-kitchen has all new floor to ceiling cherry custom cabinets with Granite counters, Subzero refrigerator & wine cooler, Wolf induction cook & Wolf double ovens. The Great room has soaring ceilings with beams and an oversized warm & toasty masonry fireplace. This room & home was featured in the movie 'Walking Tall" with Joe Don Baker. A Paneled library has built-ins & leads to the sumptuous master spa bathroom with soaking tub & a tiled shower. Upstairs you will find another Master with dual dressing areas and showers, 3 more large bedrooms, a Jack & Jill Bath and another bathroom. From the second floor you can climb down the spiral staircase into the fabulous great room! Travel up to the third floor and you will find a huge 23x45 game-room, exercise room & Leisure area. Once outside, you will enjoy the glistening, Mediterranean blue granite, salt-water pool with whisper quiet equipment. There is a Barn/storage area and a quaint but luxurious 1926 restored Farmhouse or Guest cottage. It has a real masonry fireplace w/ custom mantle & a front porch for rocking with a rear screened-in-porch for viewing wildlife. One of the Antique chandeliers in the entry is identical to one that is in The White House. One of the First Ladies has had her picture taken next to it. Another is from New Orleans which the previous owner paid more than $50,000 for. Owners have spared no expense in their renovations to include: a Natural gas run, Fiber optic lines run, A massive commercial Generator, All new cherry cabinets throughout, granite countertops, all-new, high-end appliances, new triple-insulated Low E windows by Marvin, new ceramic tile in kitchen, hardwood floors refinished, new tubs and toilets, 1900's 6 foot antique soaking tub from Chicago, 100% wool carpets, surround sound, new wiring, septic reworked and new paint/roof on farmhouse. 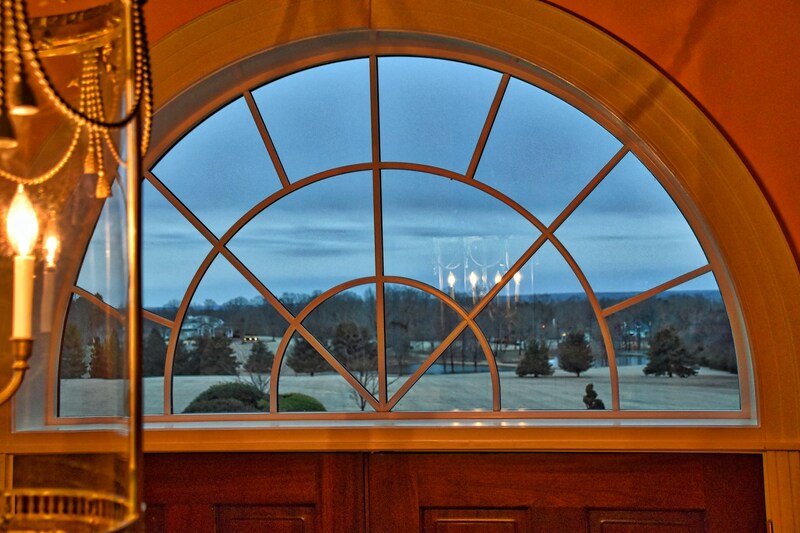 This is one magnificent luxury estate with views that you cannot believe! Call Hal McIver @ 731-298-6731. Address :283 High Point Rd.